Sample traditional Chinese flavors on this three-hour walking tour through one of the oldest Chinatown neighborhoods in America. Your local guide navigates you through the winding roads to find the best in Hong Kong style, Szechuan style, Mandarin style and more! All tastings are included in the price, and you will undoubtedly eat enough to fill you up for lunch. Price includes tastings at five different restaurants. Enjoy personal attention from your guide on this small-group tour, limited to 12 people. 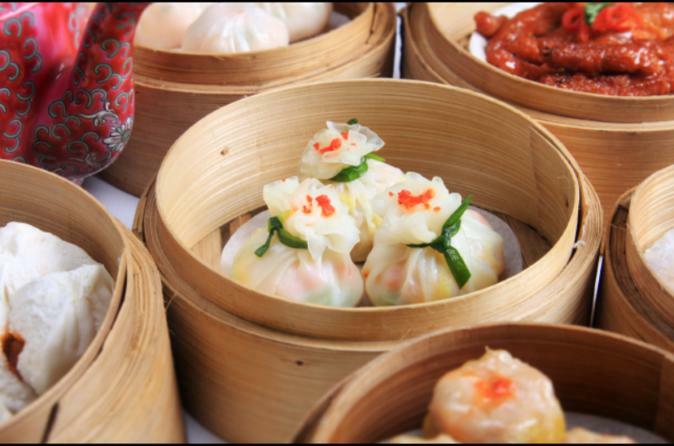 Follow your guide through one of the oldest Chinatown neighborhoods in America, and treat your taste buds to delicious Chinese cuisine. Your local guide will lead you to five different gourmet hot spots where all tastings are included. Along the way, from each location to the next, your tour turns into a culture and history lesson. This small group walking tour has a 12-person maximum, providing a more personal experience.